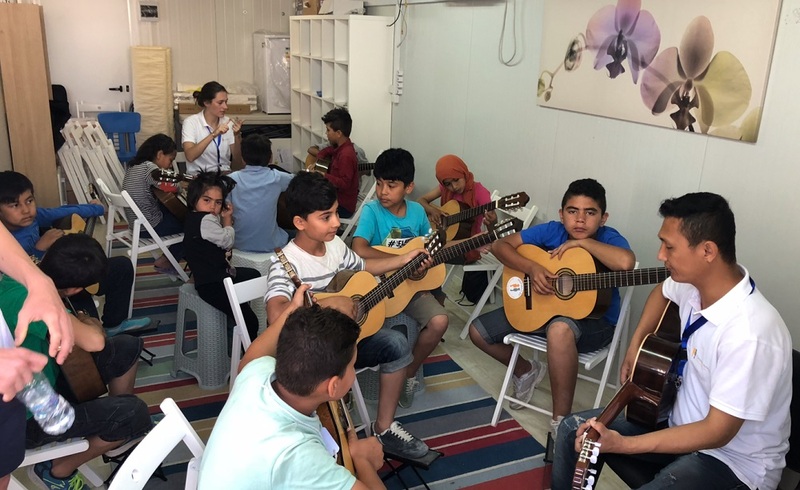 In Camp Moria, Connect by Music has its own fully furnished isobox unit, in which our team gives music lessons every day to groups of children and young adults. In front of the unit we have made a small terrace with large parasols where the children can make music together, outside and in the shade. Camp Moria is subdivided in multiple sections. In three sections (A, B and C) the most vulnerable people have been housed. Section A houses specific families and unaccompanied minors; Section B houses unaccompanied minors; Section C houses women These sections have been provided with extra protection. We provide a specific program for each section. In these sections we mainly work with music therapists. Forty percent of arrivals on the Island of Lesvos are children. Often children without parents, so called “unaccompanied minors”. This most vulnerable group is initially placed together with the adult refugees in refugee camp Moria. In November 2017 partner organization Iliaktida has come up with an initiative to create a Safe Zone for these children. This is necessary because the orphanages of Iliaktida Lesvos are already overcrowded. Since the end of January 2018 this new Safe Zone has been operational. The Safe Zone is located in front of the Moria refugee camp. Iliaktida have placed new portacabins with bunk beds for the children. There are also sufficient clean showers and toilet units. In principle, 30 girls and 50 boys are placed in the Safe Zone. The average age is from 0 to 18 years old. There are also 3 babies present who, together with the teenage mothers, get their own place for sufficient rest. The teenage mothers have been through horrific things. The professional music teachers of Connect by Music are present to teach the children music every day. Connect with us! Subscribe to our newsletter. Three teachers are at work here every day. Annita on guitar, Kostas teaches percussion and drums, and Despina is in charge of the piano and singing lessons. The instruments bought by us form the music school are simple but cheerfully decorated and are located in a central spot in the camp. The music classes are crowded as we try to reach all the children! Guitars are gifted to the children who love to play this instrument. So that they are able to keep the guitar if they have to move from KaraTepe to another camp in Greece. 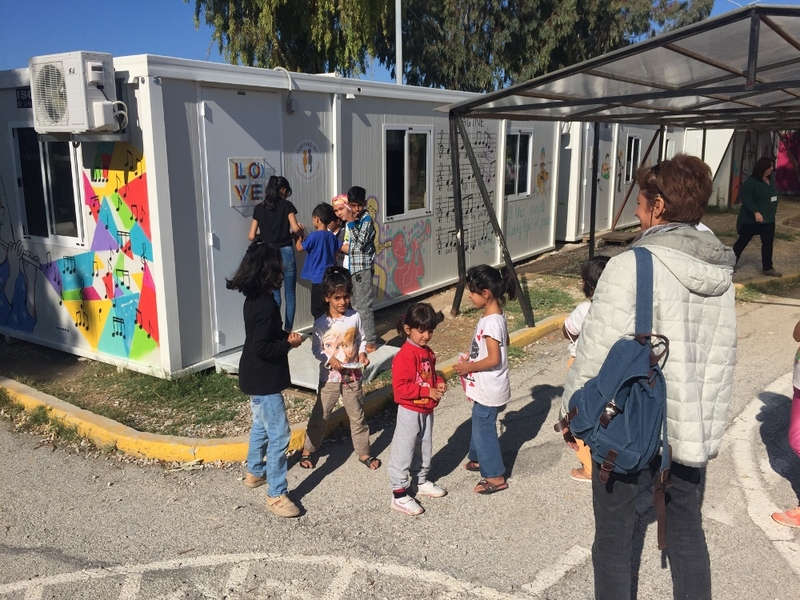 This is a new day care centre in Larsos, a few kilometres from the Moria camp. Mothers and children can attend various activities during the day, including education and music. The day care is equipped with hygiene facilities. A shuttle bus goes back and forth several times a day to pick everyone up and take them back. There is a capacity for 200 mothers and children at the same time. Connect by Music will provide the music program. 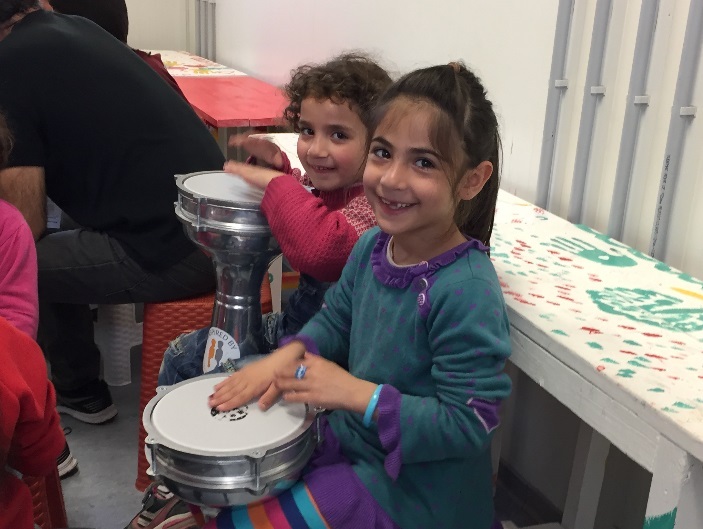 In addition to our regular Greek teachers, our music therapists will also be present at the day care. For the mothers it is important that the classes are given by female teachers, which of course we will take into account. In this way we create a safe environment in which everyone can concentrate on the music and on each other. Inspired by our activities? Subscibe to our newsletter. 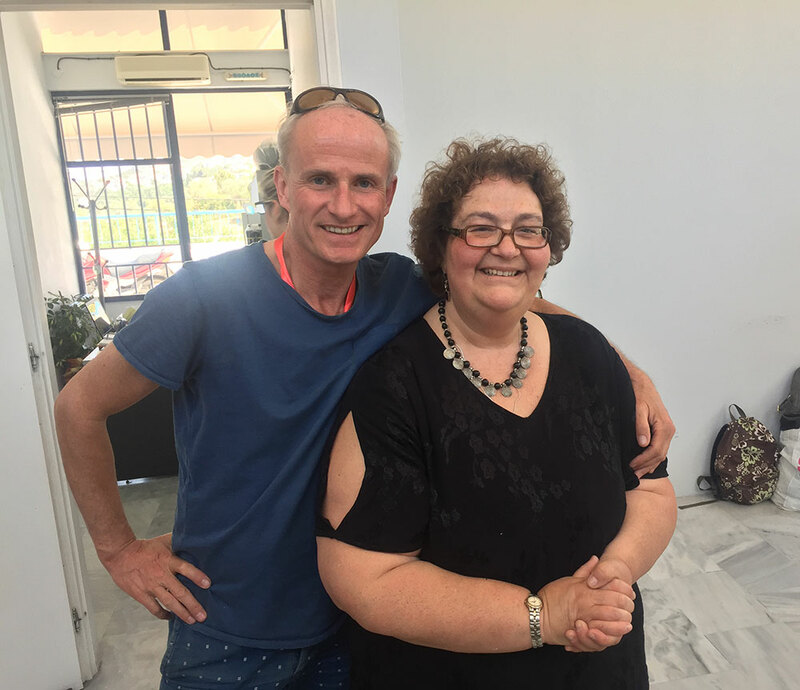 Connect by Music works closely with the Greek couple Nikos and Katerina, restaurant owners of Home for a day. At first the owners focused on tourism. 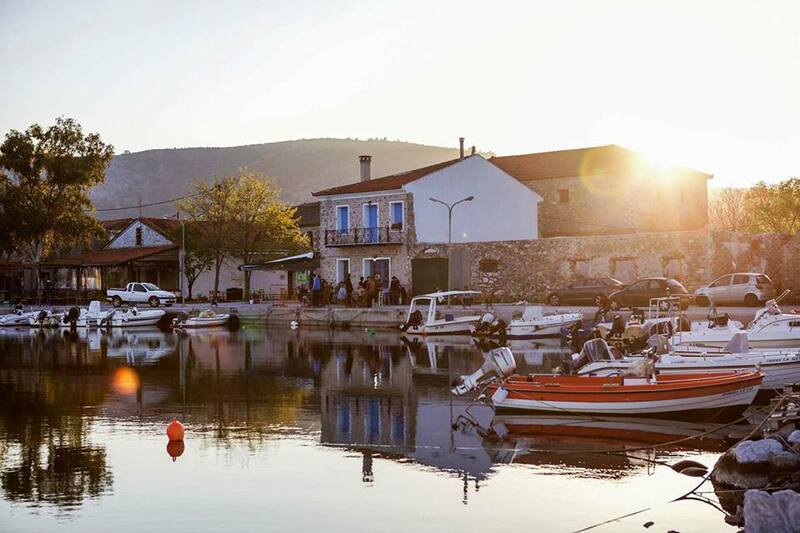 This changed when Nikos met a group of refugees who had just arrived with their boat along the coast of Lesbos early 2014. The refugees were wet and cold. He was so touched by this, that he told his wife Katerina. She immediately started making 40 home made meals to give to the refugees. This experience changed Nikos and Katerina. Nowadays they provide free meals to refugees staying in the Moria refugee kamp. In their restaurant, Connect by Music offers guitar lessons to groups of 25 to 30 young adults. Guitar lessons will be given by one of our professional music teachers. A bus will take the students back and forth to the Moria kamp. A combination of a restaurant homely enviroment with guitar lessons will provide a relaxing and friendly atmosphere. Music for Love, Healing and Joy, every day at Home for a day! 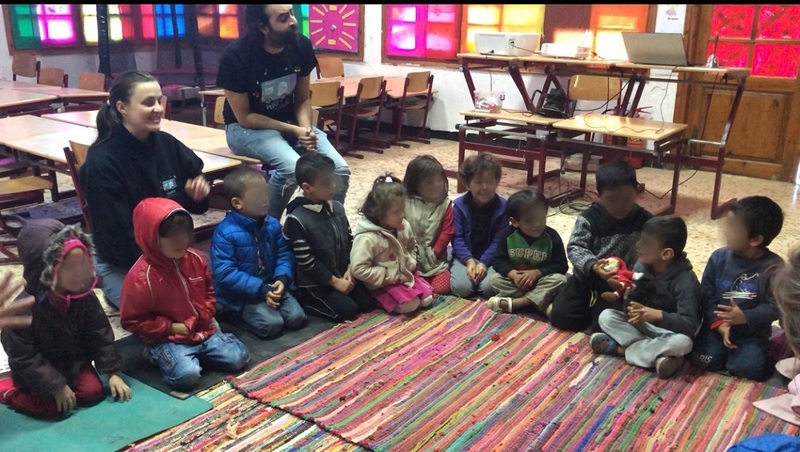 Iliaktida shelters 123 refugee children who stranded on Lesbos without their parents across 8 different homes. Vasiliki Andreadellie founded the organisation in 1999. Along with her 182 staff members, she does her best to provide for these children on Lesbos. Besides taking care of the ‘minor houses’, Iliaktida also runs a small school that the children attend every day. This wonderful organisation has asked us to facilitate the music programme for these 123 children. 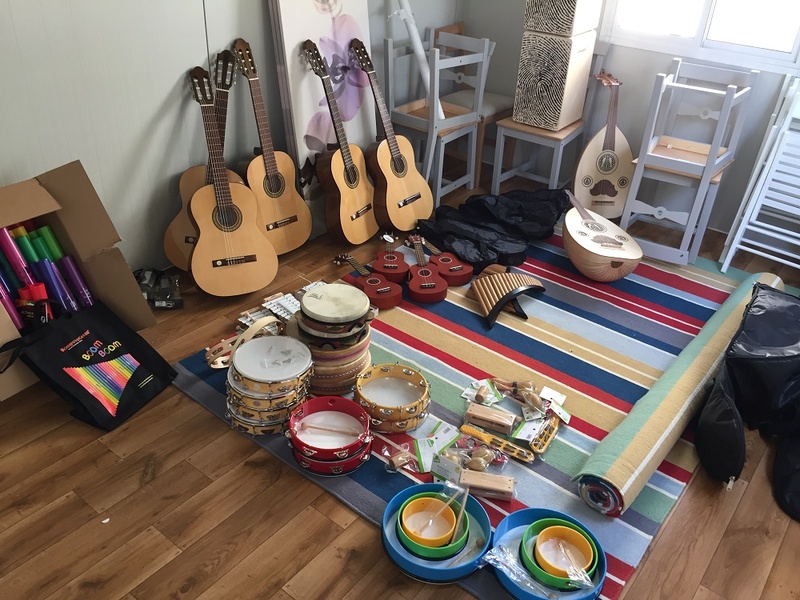 Musical instruments, such as guitars and percussions, have already been ordered. At the same time the search for the right teachers has started. As of June 2017, three teachers will be in place to get the project on its feet. This camp is located 30 km east of Athens. 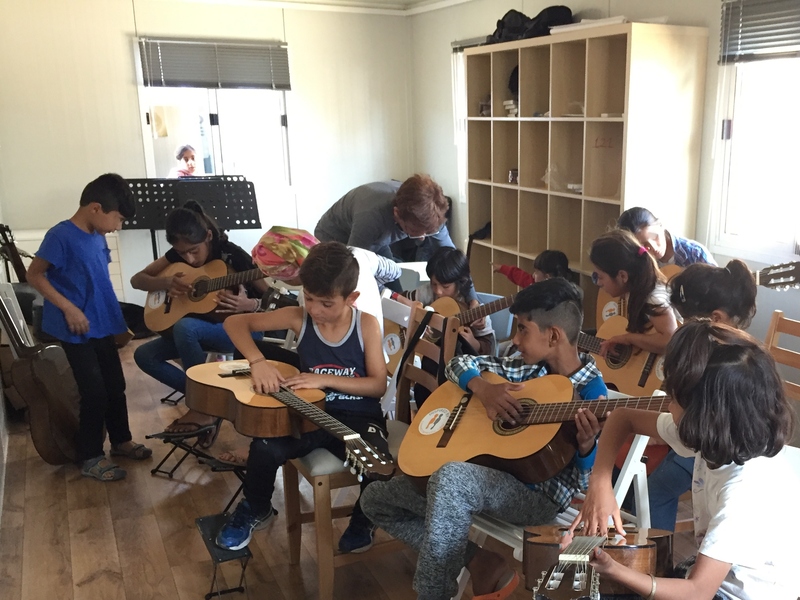 With the opening of this music school, a start was made in early February 2019 with activity on the mainland of Greece. There is intensive collaboration with our partner organization Happy Caravan, which started her second location here in the same period. Unaccompanied minors have also been accommodated in this camp, which requires specific attention. In addition to its own isobox where the CBM program is offered on a daily basis, an activity in a larger space is organized for women. Rugs and big cushions on the floor, the headscarves go off, tea is served and under the guidance of one of our professionals there is singing with the Singing Circle part being used. With Malakasa as a base we can also focus on the unaccompanied minors who stay in Athens in the near future. The problems for this group are often large and we are convinced that with the CBM program we can also give them support. An hour’s drive north of Malakasa we find Thermopylae. Our partner organization Happy Caravan started her first program here in 2015 and has asked us to start with CBM. Permission for this has been provided by the management and in March 2019 we will also be active here. Some families have been here for more than two years now and have no prospect of a positive change in their situation. The children we spoke to and told about the music lessons during our first visit did not forget this. During the second visit we were accosted by many of the kids. In March the time has come. The volunteer house is rented, the instruments are ordered, the team is put together, we are coming!